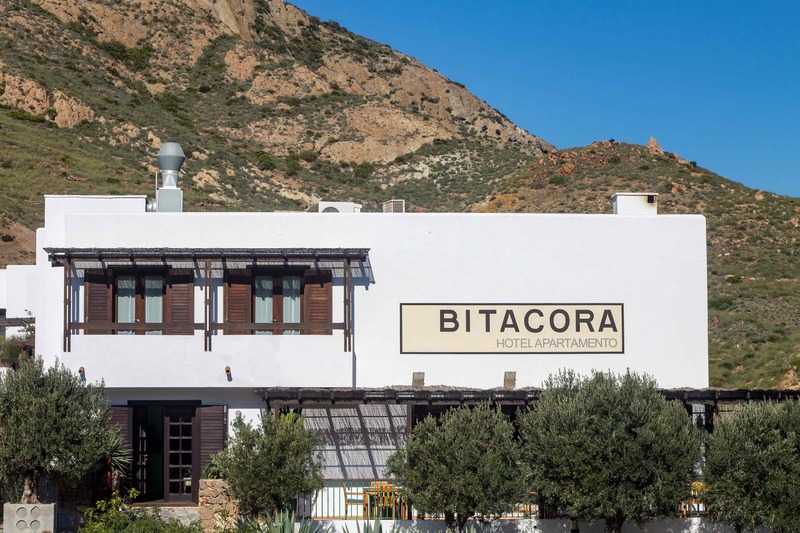 The Bitácora is a small scale, intimate apart`hotel, situated in the heart of the Cabo de Gata nature reserve, overlooking the nearby village of Las Negras and the Mediterranean. The small scale apart`hotel combines the freedom and the privacy of an apartment with the luxury and convenience of a hotel. Guests can choose from a range of services or make specific requests. The apart`hotel consists of 7 spacious and fully equipped apartments that are tastefully decorated and comfortably furnished. 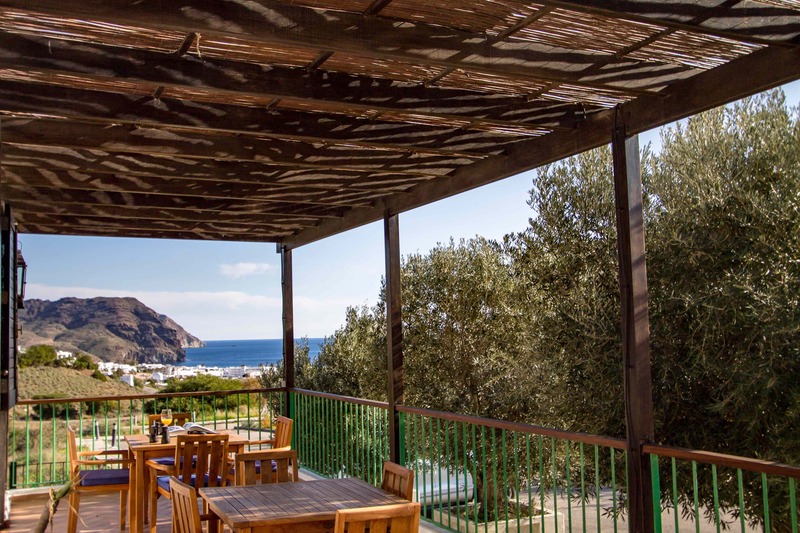 All apartments face seawards and offer grand views of the surrounding countryside, the village and the Mediterranean. One ground-floor apartment is specifically equipped for people with reduced mobility. We have free and private parking, a lovely outdoor swimming pool, a bar cafeteria where we serve an outstanding breakfast. Bitácora is situated at less than one hour from Almería international airport. 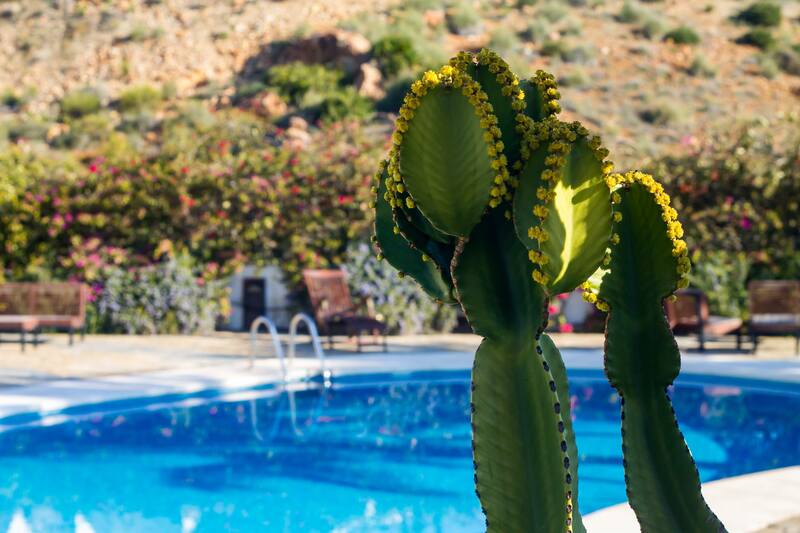 The hotel is among the best evaluated hotels of the Cabo de Gata area. Currently a 9,3 based on the Booking.com guest reviews. We are open throughout the year, including Christmas and New-Year. We will gladly help you directly in Spanish. For other languages including English, German and Dutch we prefer to receive your inquiries by mail.